RELIABLE manufactures new custom bale cutters to suit your specific requirements all come complete with the latest state of the art controls and current safety features. 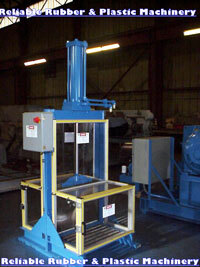 We offer the widest range of new bale cutters in the industry with unsurpassed quality. The bale cutters range from small, bench top laboratory sizes to fully automated production units with blade widths in excess of 60". 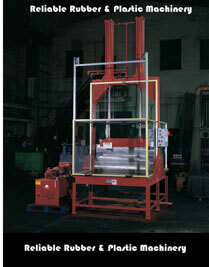 Depending on your application and required cutting forces, RELIABLE can supply pneumatic or hydraulic systems. 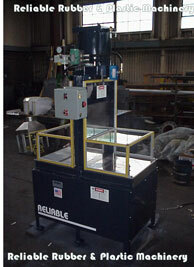 At RELIABLE, we engineer each cutter to your exact requirements.